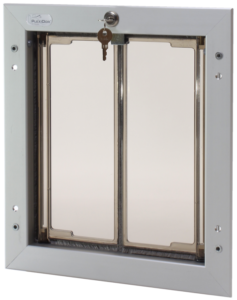 The springs allow the panels to open easily without blowing open – it’s important that the pet can go through without much effort – and close quickly and securely. You won’t have to worry about a flap hanging open, or the panels banging. The door opens and closes quietly.